Microsoft has today confirmed that hit game Angry Birds will finally arrive on the Windows Phone 7 platform on 25 May. The hugely-popular game, which has dominated the iOS and Android charts, was originally expected to arrive in February but has been held up by legal delays. Microsoft chose its WP7 keynote at MIX11 in Las Vegas to announce that the details have been ironed out and that the maladjusted pig-bashers are ready to take flight on the platform. 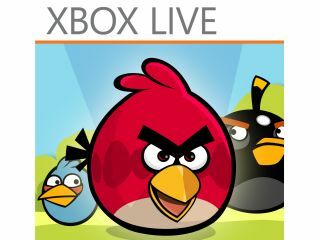 Angry Birds WP7 will feature in the Xbox Live portion of the app marketplace and feature 195 levels of action-packed egg-saving. We're pretty sure that some of the other versions of the game have a good shot at appearing on the platform as well as some future iterations we're sure to see from the guys at Rovio. The newly announced version of WP7 coming this autumn, codenamed Mango, will give gamers a better experience on the platform by incorporating full multi-tasking and faster rescue time. It has been a big day for the Windows Mobile App Marketplace, expanding its reach to 35 countries and announcing to launch of big hitting apps like Skype, Layar, Spotify and Amazon coming with Mango later this year.